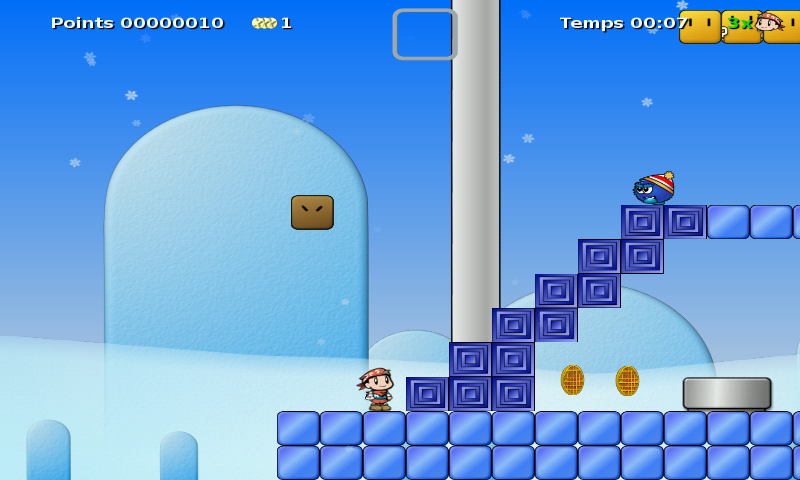 Secret Maryo Chronicles is an Open Source two-dimensional platform game with a design similar to classic computer games. SMC has computer support to a great degree by using an accelerated Open Graphics Library for the best possible graphic design and stock performance. If you want to contribute to the project in any way post in the Forums or contact the Lead Developer. Activated with the F8 key in the game. You can insert any graphic file as a background or sprite in the game. 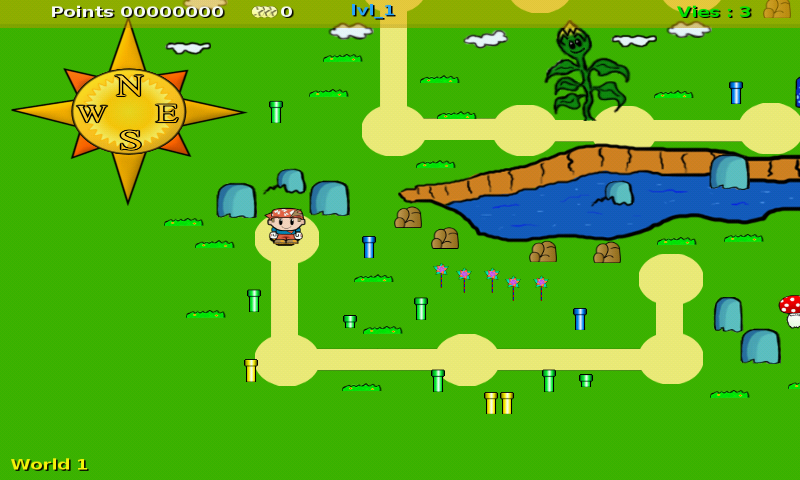 All graphics like hedges and ground sprites are included. 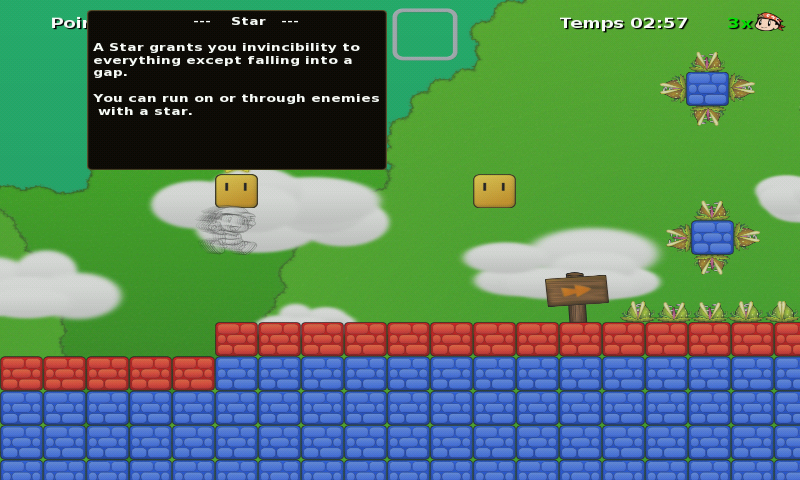 You can insert enemies, change the player start position, insert special objects like a powerup box, global level effects, and create half-massive sprites which the Player can jump through, but can not fall through. For a more detailed explanation see the Editor tutorial. Includes Small, Normal, Fire, Snow, Star and Ghost Maryo. 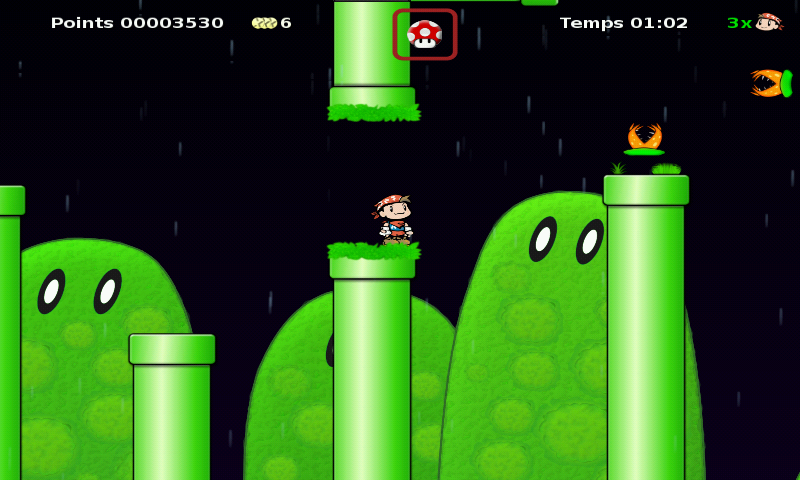 Advance to the next stage by getting Mushrooms, Fireplants and Stars but beware of the Poison Mushroom. 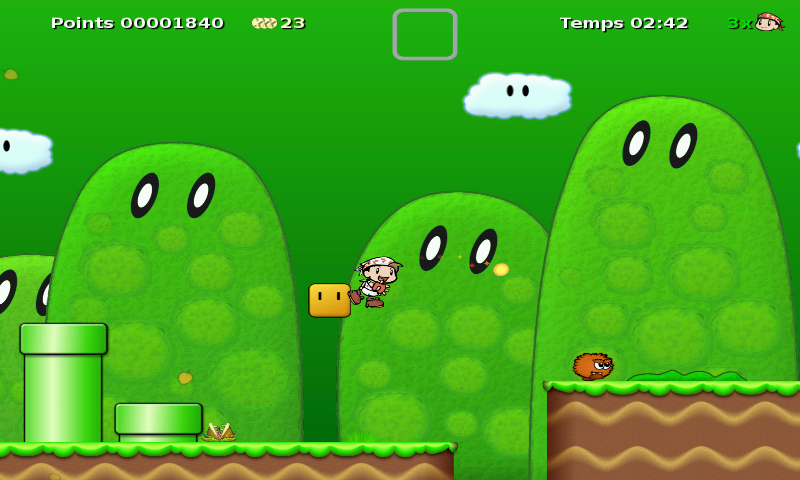 The powerup items can be obtained by jumping into question mark boxes. Save anytime in a level or world from the game menu. Then load whenever you want. 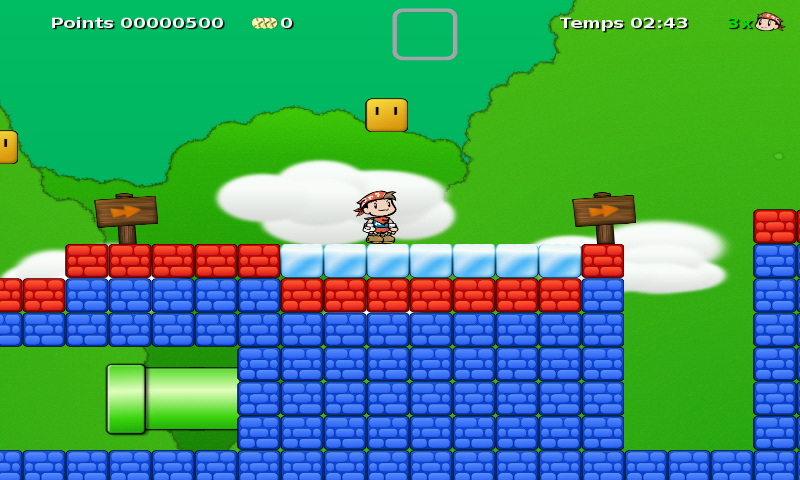 Here is Secret Maryo Chronicles aka SMC. I ported it using gl4es. It's quite fast, but may slowdown in some later levels, so you may need to reduce graphical details in the Options screen and recreate the cache. By the way, the Creation of the Cache is very long! You can find a video of the Gameplay on the Pandora here: http://youtu.be/Idx-GCtM0tc by IngoReis.